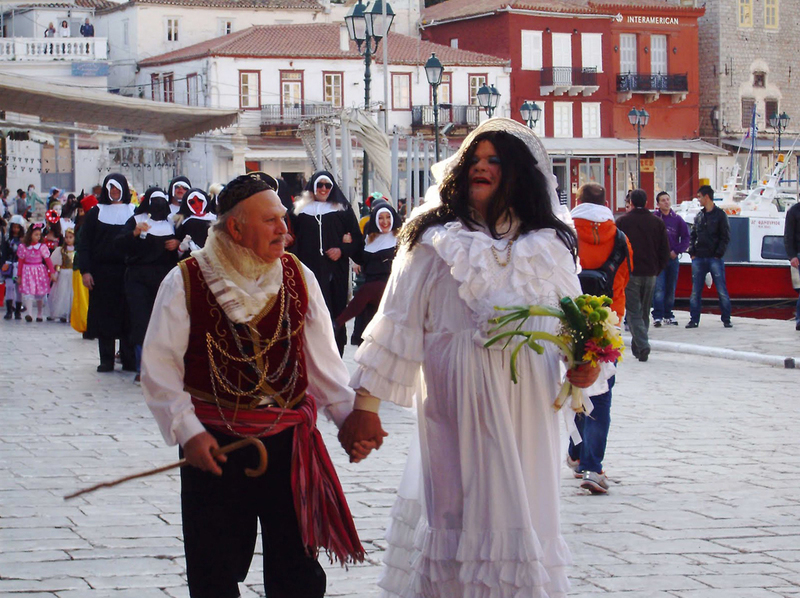 Very famous in Hydra is the annual Carnival where tourists and local people can take part and enjoy. 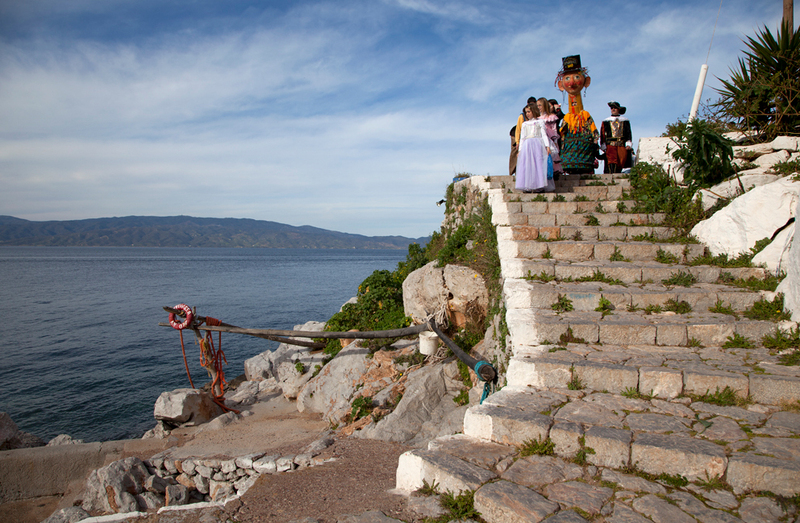 The festival is going around all the paths of the main city of Hydra and it ends at the port with fireworks, as entertainment continues all the night. 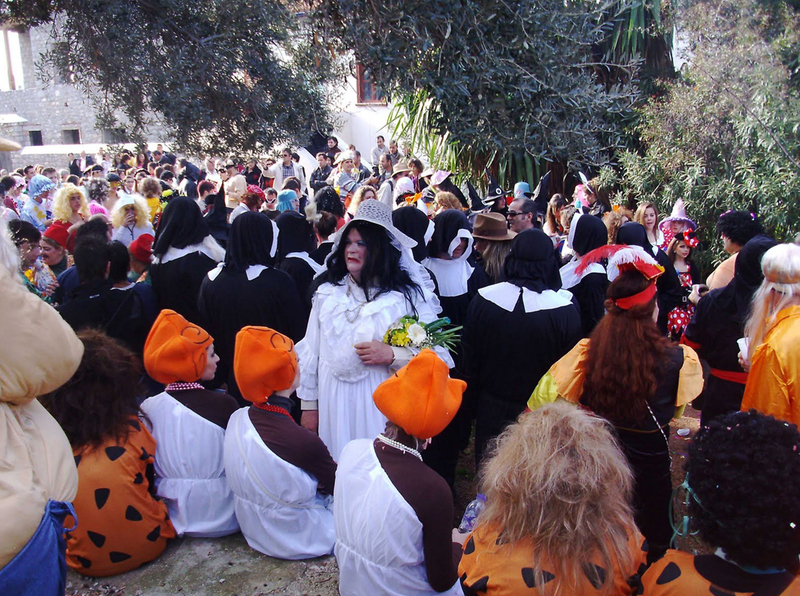 The start of the Carnival in Hydra signaled in past years, the day of commemoration of St. Anthony the Great in the 17th of January. 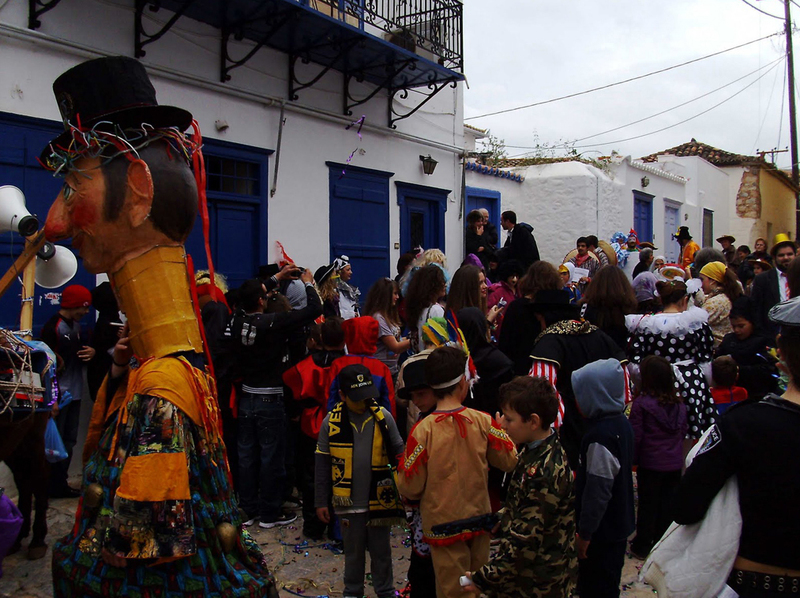 On this day, in all the neighborhoods of Hydra, the carnival people began to beat drums and drums, announcing the joyful message of Halloween. 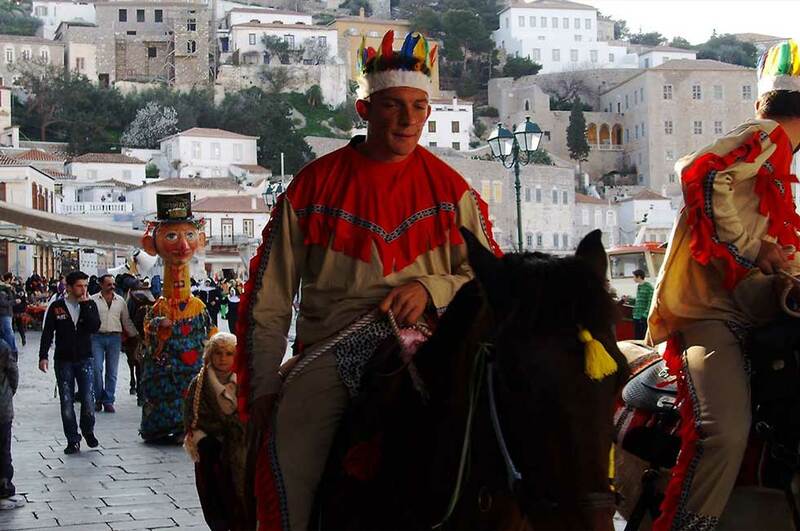 Today, the carnival are gathered in the square of Admiral Votsi and then climb the stairs of the road Anthony Lygnou. After the Mansion of Sahtouris, they turn right and arrive at Hillary's pit, where they make their first stop. There, they dance with island songs and with the accompaniment of treats. Then, via the route Anthony Kriezis leading Kamini and bypassing the route at the height of the Church of the Virgin, directed toward pit Tzathas or Bampori. Moving to position Petalidiza, near the Church of St. Barbara, turning west and heading for the port of Kamini. 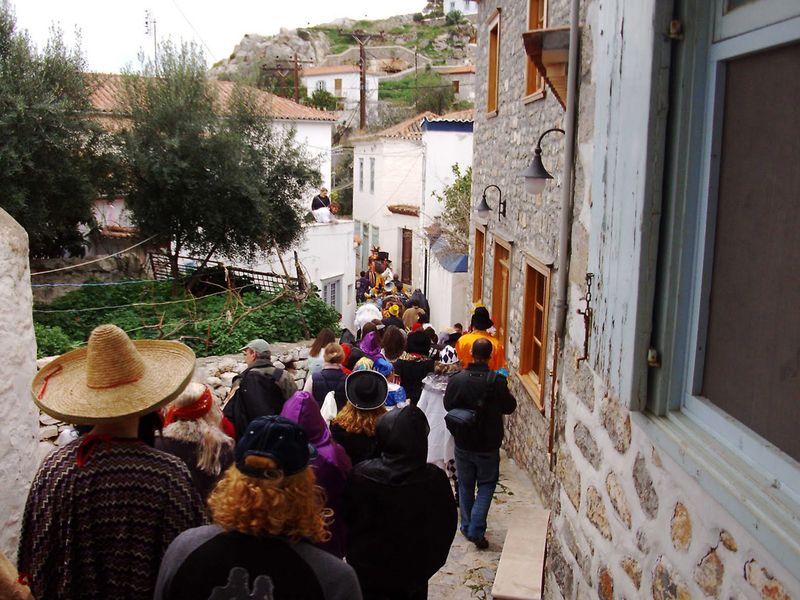 Passing the river end of Kaminion, they end at the Lakka of Kokoris, and make the second stop with treats and dances. 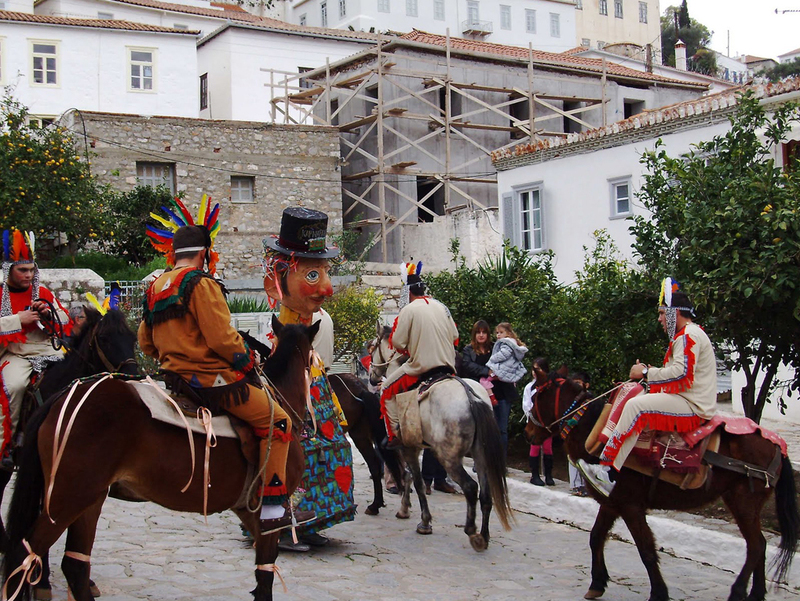 After the second stop, the carnival is directed towards the Church of the Ascension and follow the road up the tower leading to Lakka Gavrili for the third and final stop of the procession of the carnival. 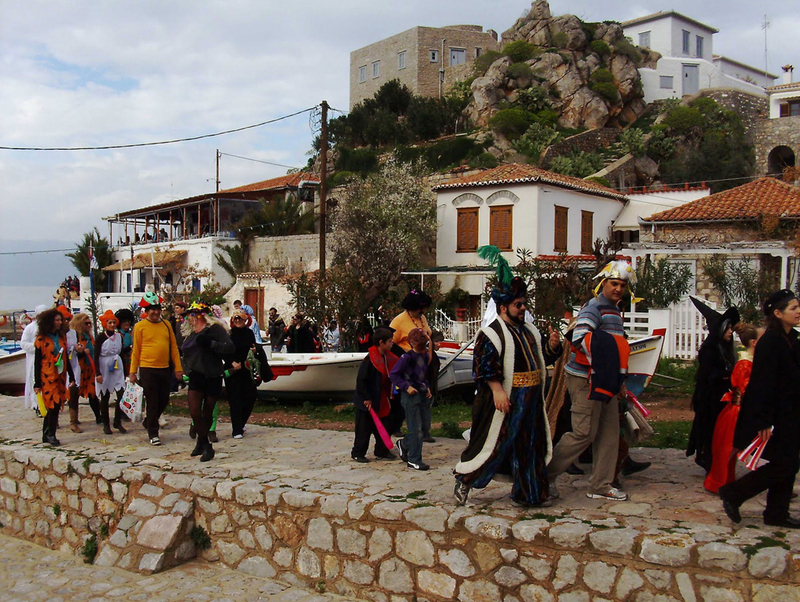 Then the carnival from the pit Gavrili descends to the street of Anthony Lignou to reach again the square of Admiral Votsi and from there the carnival parade, with drums and Drums, goes to beach of Hydra, where the dance and songs are. 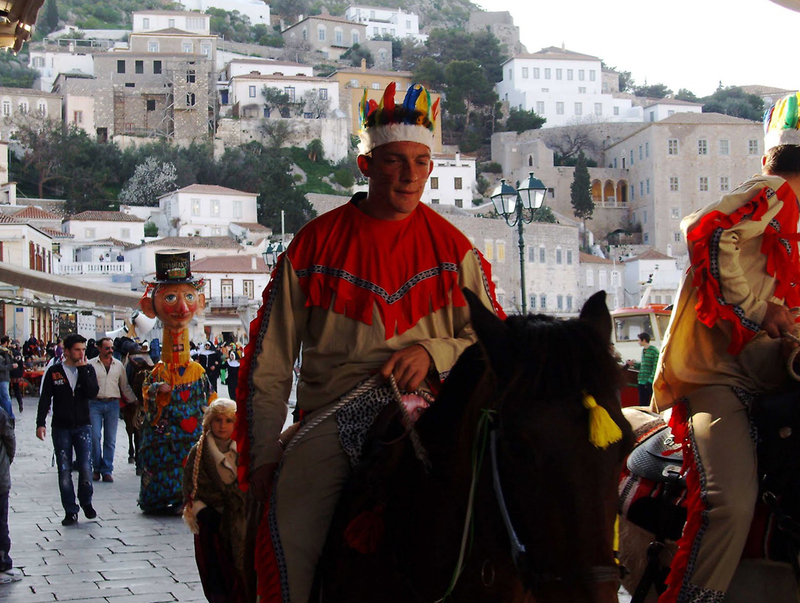 In the end, the carnival, after the beach of Hydra, passes the route of George Sachtouri and ends at the tavern "Xeri Elia" where it hangs. 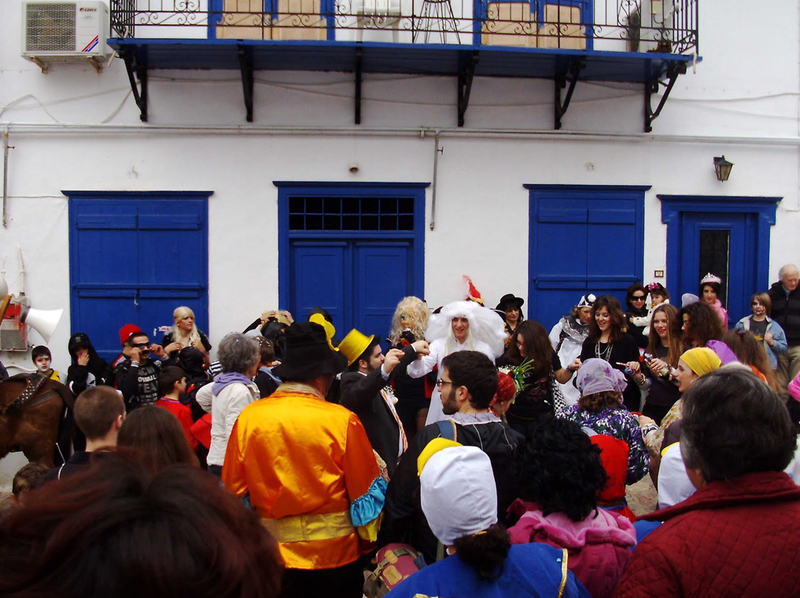 Followed by dancing and feasting on traditional food and good wine.